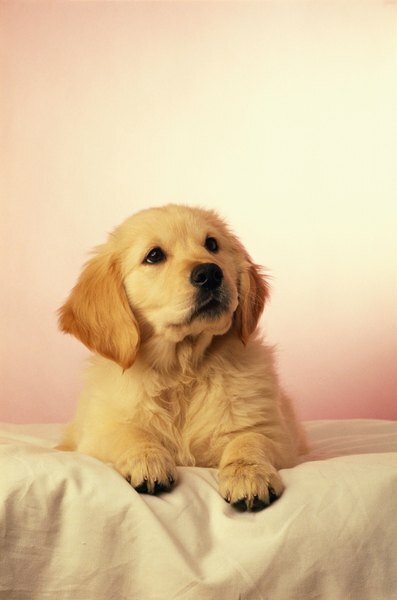 Puppies and dogs can be easily trained to use automatic litter boxes. Litter boxes are not just for cats any more. Automatic litter boxes provide an alternative to walking your dog. They are convenient for apartment dogs, small breeds, senior dogs or those with medical conditions that prevent them from going outside. Prices range from under $100 to $800. Automatic litter boxes with artificial turf allow you to train the dog to eliminate both indoors and out. Your dog will easily make the transition to using real grass outside from the artificial turf. Train puppies using turf litter boxes when they're too young to go outside, and housetraining will be a simpler process later. Some automatic litter boxes are designed for outdoor use on a porch or patio and still give you the option of teaching your dog to eliminate outside of the house. Most automatic litter boxes use artificial turf. The back of the grass pad is perforated so urine drains through to a tank or pan beneath it. Some boxes work on a timer that regularly opens the collection area and empties into a tank, which you are required to empty daily. Other boxes remove both urine and feces; some leave the feces on top of the grass for you to remove. Basic automatic litter boxes include fewer features but are also less expensive. Those with more automatic cleaning options cost upward of $300. Automatic litter boxes designed for outdoors can be connected to a hose that drains the liquid and deposits it in the ground. These boxes are recommended for porches or patios to prevent lawn damage from your pet's urine. One model includes a self-cleaning sprinkler system that rinses the top of the artificial grass regularly, removing both urine residue and feces. These models can be connected to your plumbing or manually drained. Train your dog or puppy to use a litter box as you would to go outside. After he eats, exercises or wakes up, put him on the grass surface and use a cue word or phrase. When he eliminates, praise him and give him a high value treat. Puppies need to potty more frequently than adult dogs, so give your puppy frequent opportunities. Be patient and consistent, and your dog will be using the litter box in a short time. American Animal Hospital Association: Can I Train My Dog to Use a Litter Box? Can Pregnant Women Change Cat Litter Boxes?